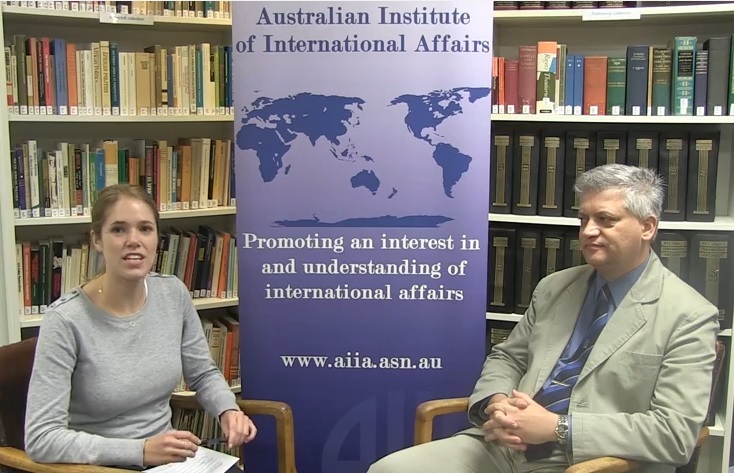 The public lecture, “Security Implications of Kim Jong Un’s Leadership Consolidation for Korea and Beyond”, was given at Australian Institute of International Affairs in Canberra on 05 May 2014. Here the short interview with Dr. Leonid Petrov before the lecture. 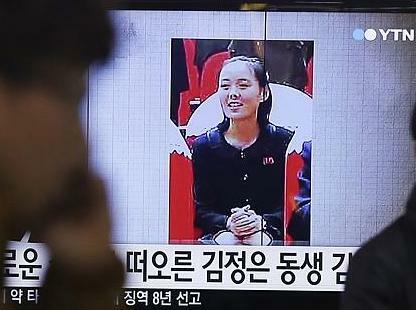 (News.com.au November 29, 2014) THERE’s a new Kim climbing the ranks in North Korea — and this time, it’s a woman. Kim Jong-un’s younger sister, Kim Yo-Jong, has been promoted to what is effectively a second-in-command position to the country’s notorious dictator. She has been increasingly visible in recent years, and now the ambitious young woman is firmly situated in the highest echelons of the ruling Workers’ Party. Yesterday, the North’s official KCNA news agency listed her as a “vice department director” in the central committee. Believed to be 26 years old, Kim Yo-Jong first made her first public appearance in 2011 at the funeral of her father and longtime ruler Kim Jong-Il. When Kim Jong-un was sick recently, she is thought to have been acting as leader behind the scenes, according to Dr Leonid Petrov, from the ANU School of History and Culture. Now the Supreme Leader has a problem. He is considered young, at just 31 years old, and “needs to uplift his image”, Dr Leonid explains. He has already changed his hairstyle and started using a walking stick to make himself appear older to generate more respect. His health is poor — he has diabetes and high blood pressure — and he isn’t sure who he can trust. Enter Kim Yo-Jong. As a family member, she will not betray him. She will show loyalty and will not try to take power while he is alive. But should he die, whether of natural causes or at the hands of his many enemies, she could continue the reign of the ruling family. “She has a thirst for power,” said Dr Leonid. She has begun accompanying her brother to political events and on his “field guidance trips”. Analysts suggest she is either in the powerful organisational department handling personnel changes or a propaganda unit. Kim Jong Il was also seen as relying on his own sister during his 17-year rule. While women, especially young ones, would not normally come to power in Korea, things are changing, culturally and politically. South Korea now has a female president, which no one would have expected in the past, who again was the daughter of a leader. North Korean observers have speculated that Kim Yo-Jong is being groomed to playing a similar leadership supporting role to her powerful aunt, Kim Kyong-Hui. Kim Jong-un has removed many members of the old guard, with Kim Kyong-Hui, 68, largely disappearing from public view after her husband Jang Song-Thaek was executed last December for charges including treason. Just as Kim Jong-un entered the public eye in 2009, so Kim Yo-Jong has taken a central role. She is a safety precaution for her brother, and she could become the perfect dictator to carry on the dynasty.